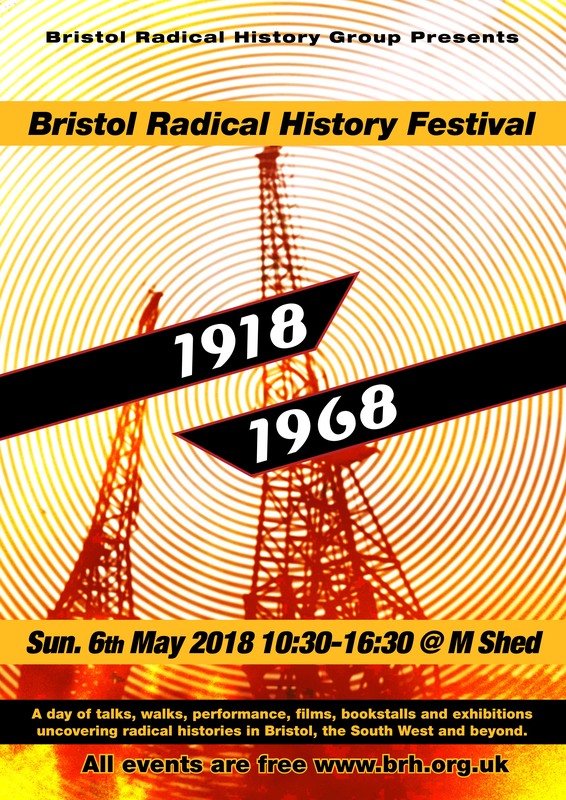 Building on the success of the 2017 Bristol Radical History Festival, M Shed and Bristol Radical History Group are excited to be hosting another event on Sunday May 6th 2018 with more talks, walks, performance and stalls. 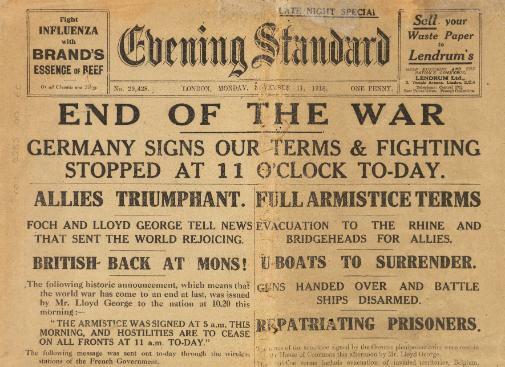 The First World War ended in 1918. 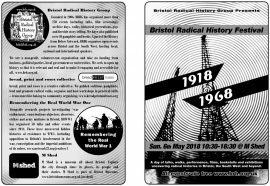 This centenary sees the Remembering the Real World War One group presenting recent research into the hidden histories of rebellious miners, mutinous soldiers and those on the run from conscription as well as examining how the war and its victims are physically memorialised. 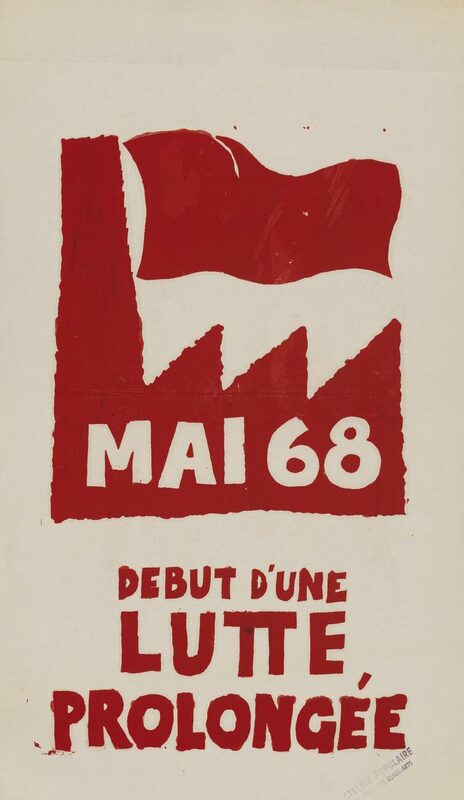 May 2018 also marks the fiftieth anniversary of the May 1968 events. These signalled the rise of the counter-culture and emergence of the new social movements that continue to define cultural and political debates. 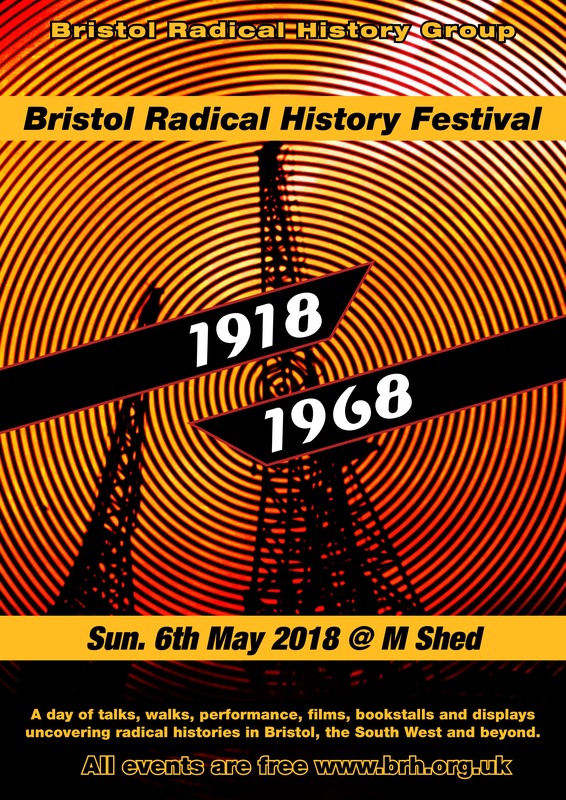 The Bread, Print and Roses Collective revisit 1968 in bringing together those ‘who were there’ to discuss what happened in Bristol, from university occupations, the founding of St Paul’s carnival and the underground music scene to the emergence of the women’s liberation movement and the struggles for workers’ control in the aerospace industry. 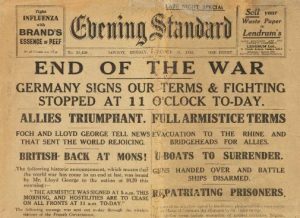 A series of history talks, films and panels are taking place in the meeting rooms Studio 1 (World War One) and Studio 2 (1968) on Level 1 from 10.30am – 4.30pm. A puppet show, story telling and poetry are taking place in the Life Gallery cinema space on Level 1 from 11.30am – 3.00pm. An exhibition of international political posters from 1968 and the works of radical artist Dennis Gould along with poster and banner making workshops and other activities are situated on the foyer of Level 2. History walks will be starting at Christchurch, Clifton at 11.00am and at M Shed at 11.30am and 4.30pm. Bookstalls are situated on the foyer of Level 1. 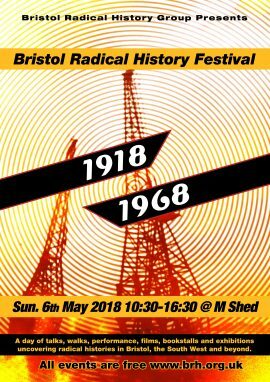 Radical history videos relating to 1968 will be showing all day on the Level 1 foyer. By Car: Parking is available in the Wapping Wharf car park adjacent to M Shed (£4.50 for the whole day). 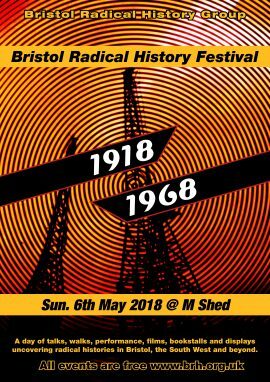 By Train: From Temple Meads station it is a 15 min walk to M Shed. If you fancy a scenic route by river, another option is to take the Bristol Ferry Service from Temple Meads to Prince St Bridge. By Bus: It is a 15 min walk to M Shed from Bristol Bus Station. Note: events will be added to this list and there may be changes of times.